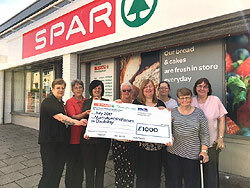 SPAR Saltcoats, owned and operated by CJ Lang and Son Limited has recently donated a generous £1000 to North Ayrshire Forum on Disability. SPAR Scotland recently ran a competition for all stores, in association with Rockstar Energy Drink. 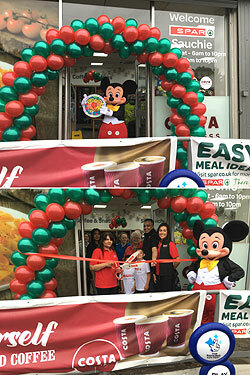 SPAR Scotland celebrated the opening of their newest SPAR store in Sauchie, near Alloa, with a spectacular launch day held on 15th July. 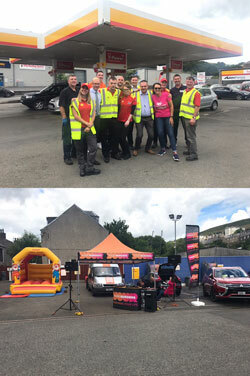 SPAR Galashiels were revving it up on Wednesday 12th July as they held a fabulous family fun day and F1 fuel giveaway. 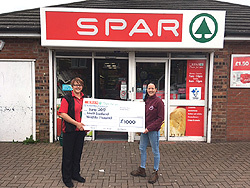 SPAR Rosevale owned and operated by CJ Lang and Son Limited has recently donated a generous £1000 to the South of Scotland Wildlife Hospital. 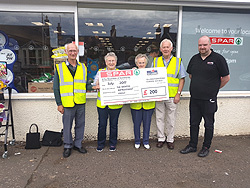 SPAR East Wemyss, owned and operated by CJ Lang and Son Limited has recently donated a generous £200 to The Wemyss Improvement Group.